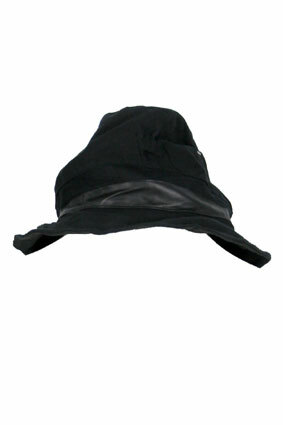 Masnada black hat with leather and staples detail. Wired rim. Lined. The staples pull the top of the hat down to one side. A very cool hat.